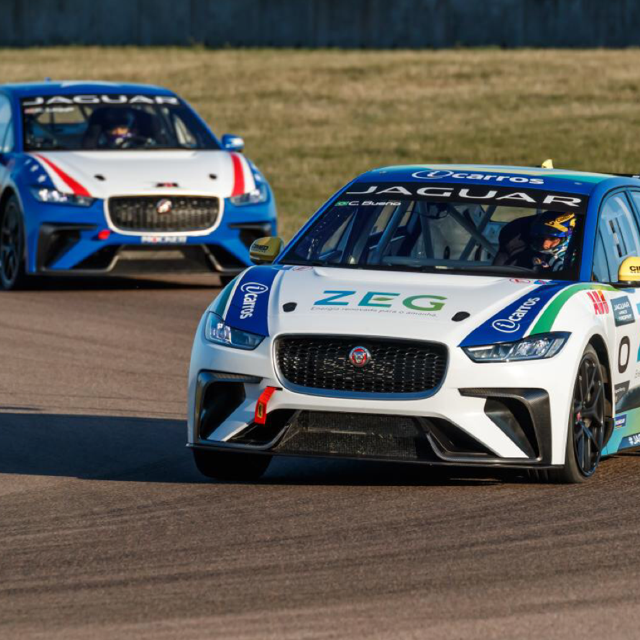 Pre-season testing for the Jaguar I-PACE eTROPHY championship took place this week at Rockingham, Europe’s fastest racing circuit. Previously announced entrants Katherine Legge, Bryan Sellers, Cacá Bueno, Sérgio Jimenez and Simon Evans were joined by confirmed multi-car entrants from Saudi Arabia, China and Germany, who are due to announce their team and driver details in November. British model and racing enthusiast David Gandy also attended the test and drove the Jaguar I-PACE eTROPHY racecar. Each round will feature a VIP car driven by famous faces from the world of motorsport and beyond. Gandy, who first attended a Formula E Race in Hong Kong in 2016 has also previously raced for Jaguar in the Mille Miglia in an XK120. The Jaguar I-PACE eTROPHY series will be the official support race to ABB FIA Formula E from December onwards. The new championship will take place over 10 rounds in nine global cities, with up to 20 entrants competing for a prize fund in excess of £500,000. The Jaguar I-PACE eTROPHY begins on 15 December in Ad Diriyah, Saudi Arabia. Final entrants and details of where to watch the championship around the world will be announced shortly. This entry was posted in Auto and tagged 360 Magazine, auto, British, cars, championship, David Gandy, Diana Macaraeg, eTROPHY, ipace, jaguar, race circuit, rockingham, Saudi Arabia, UK, Vaughn Lowery on November 7, 2018 by wp360mag.